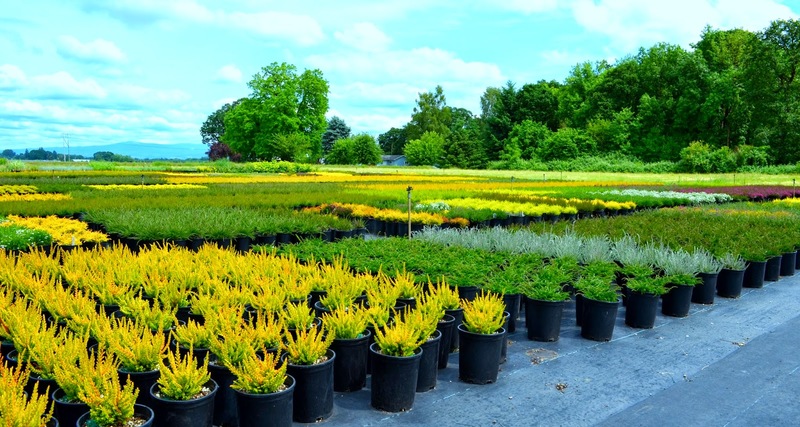 Recently, I visited the fantastic 'Highland Heather' nursery outside Canby, Oregon. The wholesale nursery was open during an event sponsored by the Cascade Nursery Trail and I took advantage of the opportunity to pay a visit to this specialty grower. I was met with a patch work of amazing color, tidily laid out with a backdrop of Mt. Hood and the Cascade Mountain Range. I am a personal fan of heather and heath. 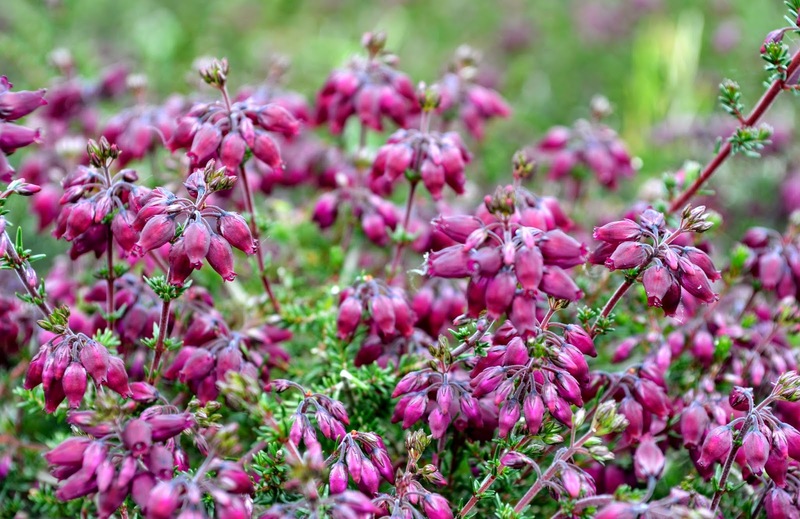 In the past, I've only grown winter blooming varieties in the 'Erica' category. Hardy, cold tolerant and blooms in the dead of winter, a fantastic addition to any garden. More recently I have been drawn to 'Summer' or Fall blooming Heather's of the 'Calluna' variety. A personal favorite has been Calluna Vulgaris Firefly', which I wrote about in this blog post. My great aunt, a native of The Netherlands, has told me stories of her youth in Holland and how she and her friends used to wander the fields of heather that bloomed in the late summer and into fall. Wiki even has a page devoted to 'Calluna' or Ling/Scotch Heather. My foray into the Calluna heather variety has been met with mixed results. While my 'firefly' has swelled and is a beautiful plant, I've tried a few other varieties and have lost them, mainly due to not following the recommended soil & drainage types. My bad!! I highly recommend, a well draining, non-compacting soil with full sun. My success with Firefly has been enhanced by placing the plant in a raised bed with a light, non-clay based soil. 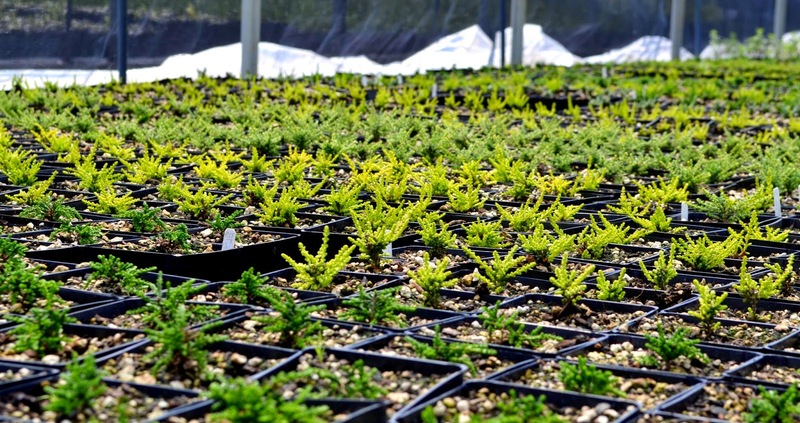 I have found the Erica varieties be a bit more forgiving, but still preferring excellent drainage, full sun and a lighter, non-compacting soil. Highland Heather grows so many varieties. I was amazed at their production. 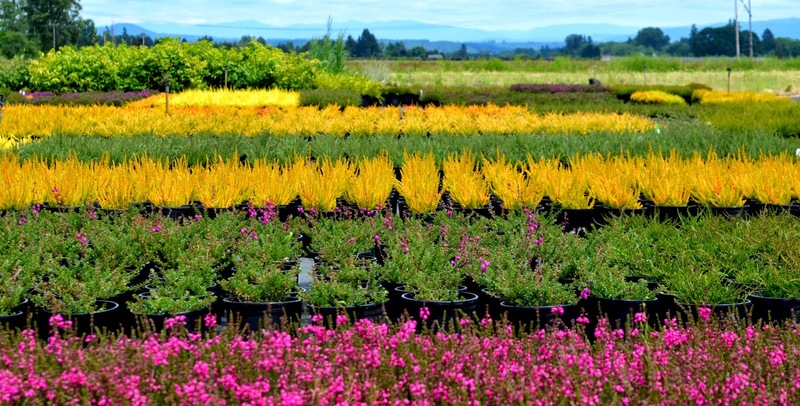 They sell to many local nurseries in Oregon and SW Washington as well as attend many of the popular plant sales, like the famous Hardy Plant sale in the spring and fall. 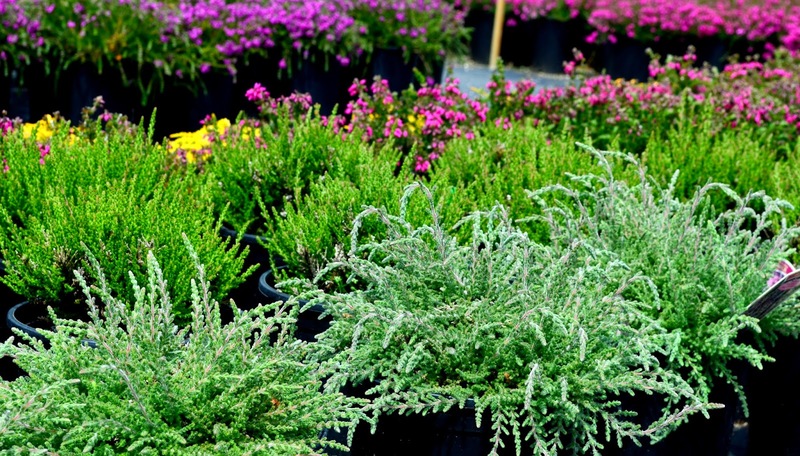 The owners were very friendly and super knowledgeable about all things Heather. I learned of a variety that has been found in Portland, Oregon, called 'Lime Glade' and was considered 'rare' at this point due to the newness of it. Of course I had to have it. 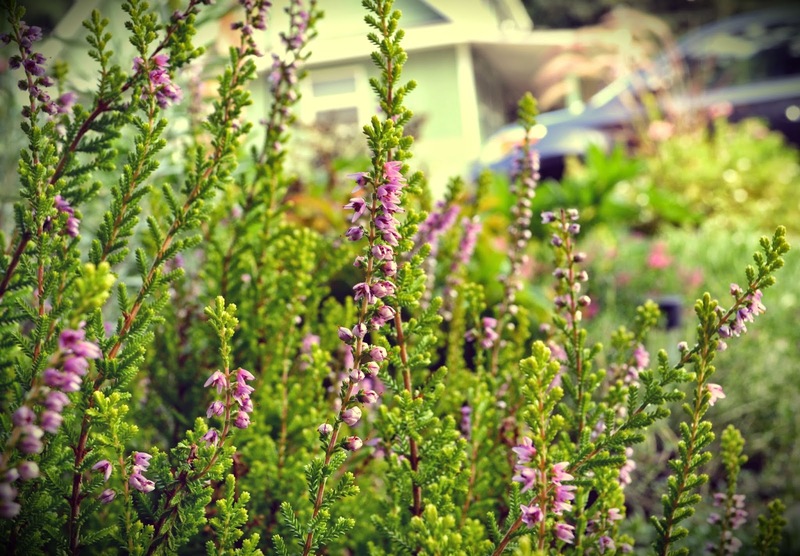 Growing heather's fits into my desire to add plants into my gardens that are water wise, cold tolerant and offer 4 seasons of interest. Frankly, the Calluna variety of heather fits these requirements to perfection. With each season, the foliage color changes, finally culminating with the addition of blooms in the fall season. Firefly is a popular choice due to the bright green to coppery color foliage hues. On my wish list is Calluna Vulgaris 'Jan Dekker' with its soft, silvery foliage. With all this gorgeous color, can you see why I am so excited about heathers?! 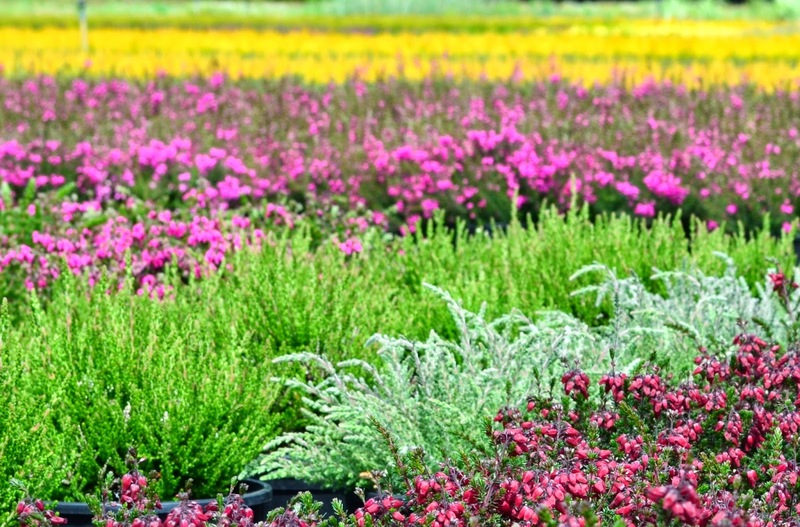 I recommend a visit to Highland Heather during one of their open nursery events. You won't be disappointed, the patch work of color is enough to warrant a trip. Jennifer, what an interesting place. Your photographs of the rows of colour are gorgeous! I never fail to come away from Hortlandia with at least one of these. My fave is 'Red Fred'. I'll have to look up Red Fred, sounds colorful! My sister and I did the Cascade Nursery Trail event in June but we didn't make it to Highland Heather. What a beautiful place. I can see why 'Jan Dekker' is on your wish list. NICE!! Grace, you made it to a few nurseries I didn't get too, which I am still bummed about. Sounds like a very interesting place for heather lovers. Your pictures show so bright and colourful and `Jan Dekker´ on your wishlist, so very Dutch! I'm a big fan of heaths and heathers, too. I mostly have varieties of Calluna vulgaris, with a few winter-blooming heaths. I want to add more and diversify my collection. 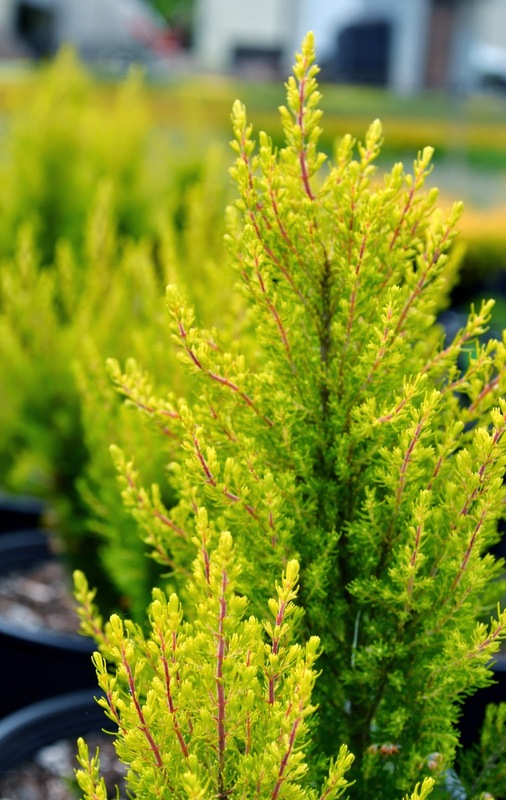 In fact I have places in mind for three Erica arborea 'Estrella Gold'. In pruning my heathers, I get lots of new plants from trimmings that are missed during clean-up. One year, especially, I had a carpet of new plants of all different colors and growth habits. I started with 3 varieties and now have over a dozen forms that I've selected, including several woolly, silver ones like 'Jan Decker'. It's interesting that you've had trouble with heathers. Most of mine are in a raised bed in the middle of a circular driveway. The soil isn't really loose and has a significant amount of clay. Most of my other plants are on a slope of compacted clay built to support a ramp leading up to the front door. 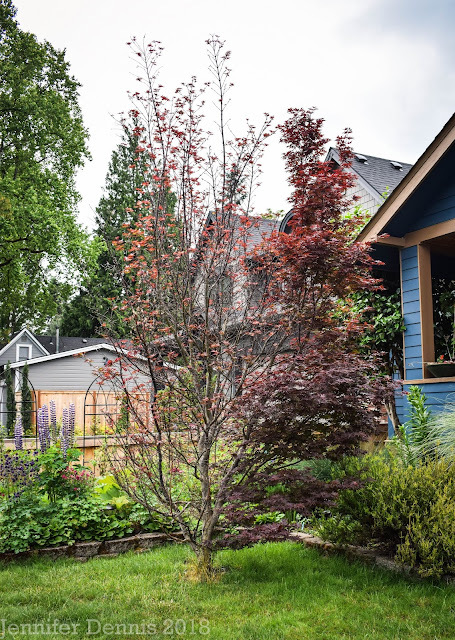 But in both cases drainage is improved by the soil being raised and/or sloped. I've never had trouble with any of them. They're almost weedy in my garden, but they are a welcome weed.